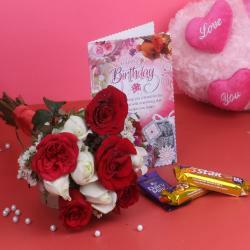 Product Consist : 16 Mix Roses arranged in a Glass Vase along with 2 Bars of Cadbury Dairy Milk Silk Chocolate (Weight : 60 gms Each). 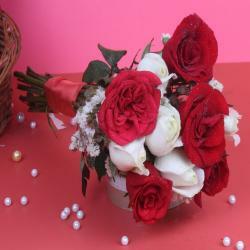 Picture this - you are miles away from your wife and you want to send something to her on her birthday; or you simply want to tell her that you love and miss her; or you want to make your girlfriend's birthday extra special. It's at times like these that this combo becomes the best thing that you can order. 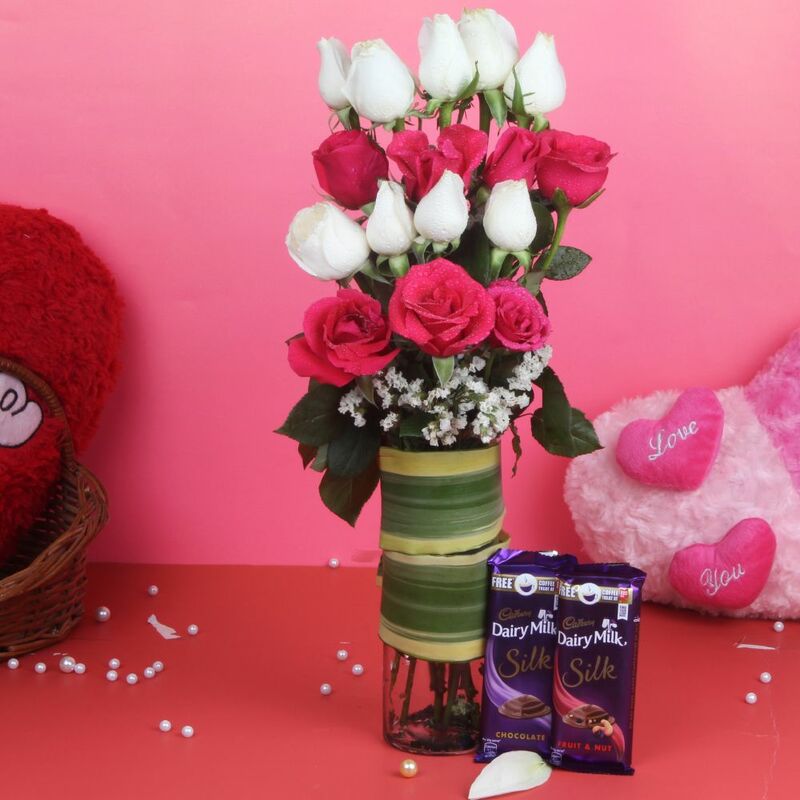 Order online this wonderful Glass vase 16 of pink and white roses with Two bars of Cadbury dairy milk silk (Weights: 60 gm each) online and lay back. Rely completely on us for swift and efficient delivery to your doorstep on the very same day or even at midnight. You are sure to find your wife glowing with happiness and we assure you that you will be back for more. Wait no longer - place your online order for this pink and white rose glass vase and Cadbury dairy milk combo! 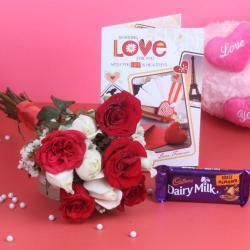 Product Consist: 16 Mix Roses arranged in a Glass Vase along with 2 Bars of Cadbury Dairy Milk Silk Chocolate (Weight: 60 gm each).